Alejandra Kelly is principal and founder of AT Kelly Design, a residential interior design firm based in Miami, Florida. With 12 years of experience, she has developed a keen understanding of how to design beautiful and functional spaces, unique to each client. Alejandra founded AT Kelly Design after years of working in New York City with talented architects and interior designers in high-end residential projects. She earned a Bachelor of Architecture from the University of Notre Dame, and an MFA in Interior Design from the New York School of Interior Design. Having a background in architecture has allowed her to fully grasp the complexity of each project and has contributed immensely to her designs, making them not only beautiful but also functional and appropriate to the architecture of the space. Alejandra’s multiple experiences from growing up in Nicaragua, living in New York, and studying in the U.S. and Italy, have informed the way she thinks about color, space, and style, creating designs that are unique and varied. In the Miami market especially, she demonstrates that interiors can be more than just minimalist white spaces. A strong believer that one’s home should be a retreat from the outside world, Alejandra works with the client to come up with a unique design that reflects their lifestyle and aesthetic preferences, while working within their budget. 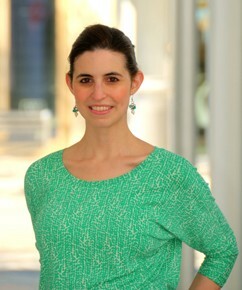 She works with clients in Miami as well as international clients.